In 2018 we saw a minimum wage increase take effect moving to $14 per hour with a promise to increase an additional $1 in 2019. With these new laws driving labor costs up, produce packagers need to figure out ways to balance this increased expense. One way? Material Handling. New Fresh Paradigm of online ordering with same day delivery is pushing suppliers towards bulk harvesting and line packaging compared to traditional labor intensive field packaging. Paxiom can help with these line changes. Increases in minimum wage –raised to $14.00 per hour with a promise to move to $15.00 in 2019. Material Handling has changed under the New Fresh Paradigm of ordering online with same day delivery. Labor rates and availability is giving way to bulk harvesting and line packing versus conventional, labor intensive, field packing. Packaging – While shopping and purchasing, consumers are looking more at the packaging than the product. According to a new study from The Freedonia Group, “demand for produce packaging in the US is forecast to increase 3.2 percent per year to $6.0 billion in 2019.” Heightened demand is anticipated for pouches, which in addition to being less expensive than rigid material, are valued for being display-ready and offer good aesthetics which can be helpful in produce merchandising. Healthy Eating – “Fresh is in” Produce packaging is heating up store shelves with breakthroughs to make eating more convenient and fun. Packaged fruit and vegetables save consumers prep time and allow for healthier eating on the go. 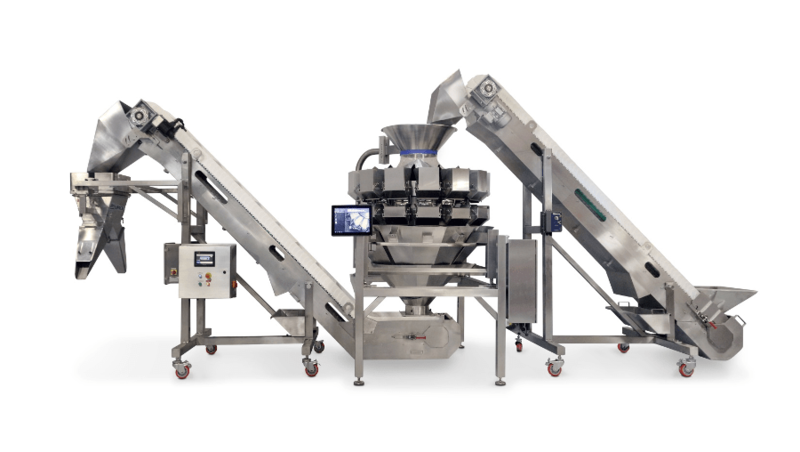 At Paxiom, we offer a wide range of automated packaging machines for fresh fruits and vegetables which are designed to take up very little floor space. Our automated low profile PrimoCombi packaging systems can fit directly into a refrigerated truck and offers complete mobility.